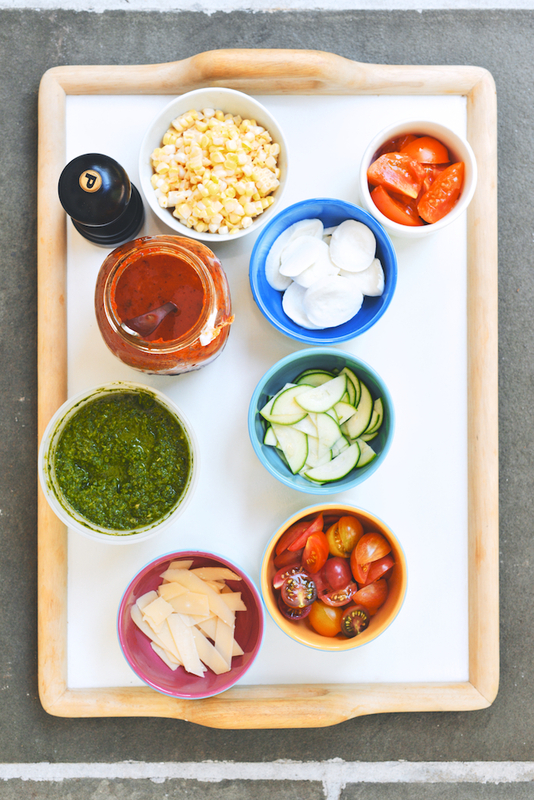 Pro tip: I like to prepare all my toppings in little bowls or containers before I get started–mise en place. 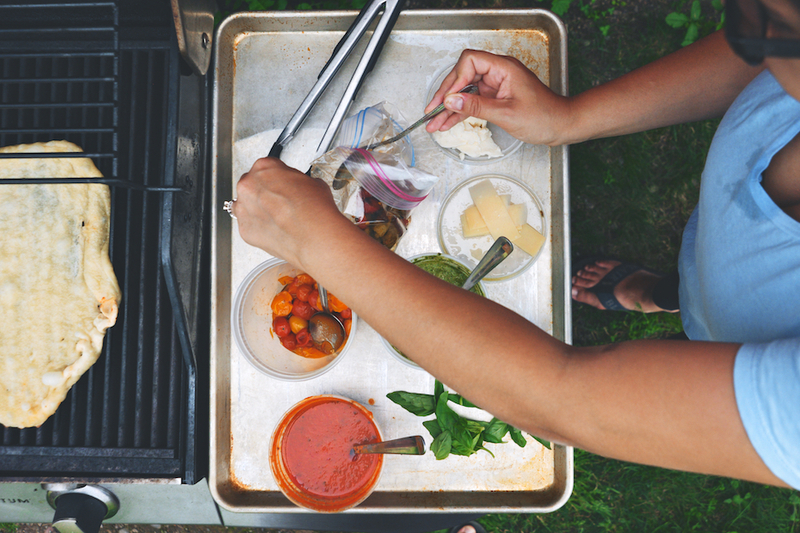 Move the bowls to the largest baking sheet you have, and then place it right next to the grill. Now it’s easy to build each pizza quickly. 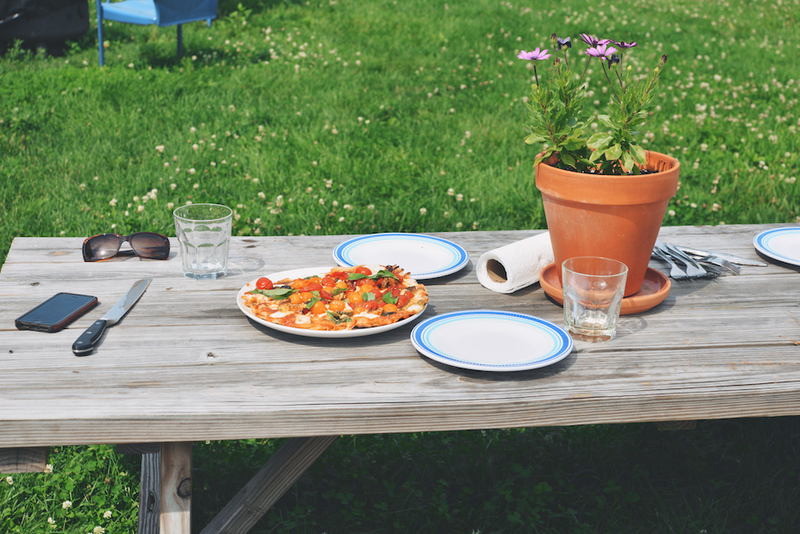 This preparedness allows the cook to enjoy eating the first pizza with guests, before moving on to making the next one. 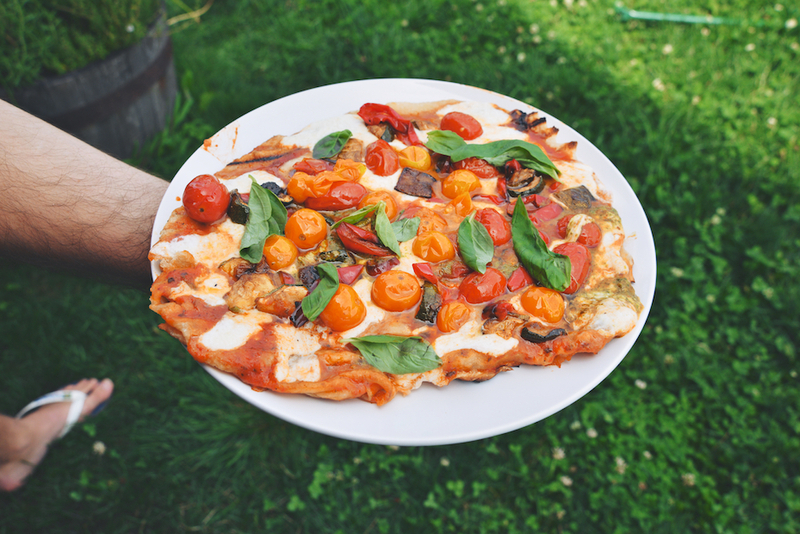 Base: tomato sauce, pesto (basil, or mix it up), pistou, sour cream, mascarpone, eggplant puree, sweet potato puree, squash puree. Spring: grilled asparagus; ramps (grilled or pickled); spinach; fresh peas; garlic; squash blossoms; scallions; young (charred) onions. 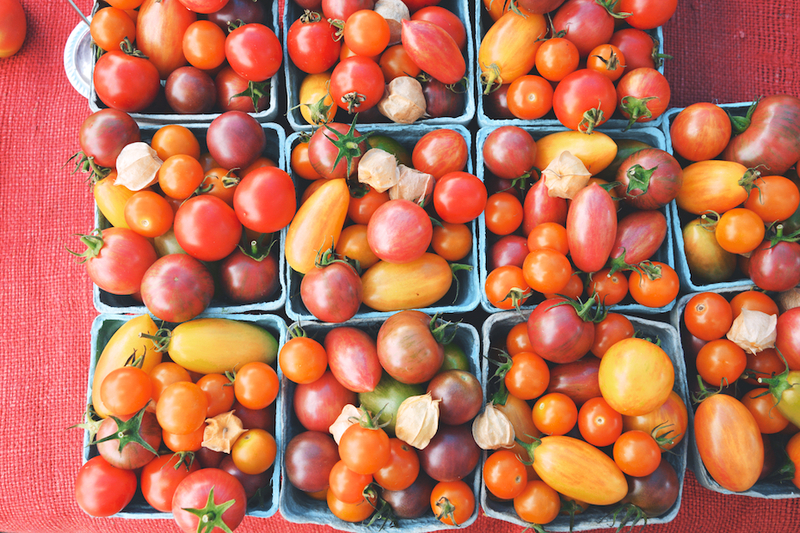 Summer: cherry tomatoes (slow roasted* or raw); zucchini (roasted or marinated**); corn (raw in the flush of summer or grilled); peppers (marinated or blistered); fennel (raw, sliced wisp thin, or roasted); shishito peppers/pimientos de padrón (blistered). Fall: mushrooms (raw or roasted); onions (caramelized or grilled); brussels sprouts (shaved or roasted); roasted cauliflower; sauteed kale; potatoes (roasted or boiled). To finish: basil, chives, parsley, cilantro, arugula, (hot) honey, balsamic reduction. **Marinated Zucchini: Thinly slice 1 medium-large (275 grams) zucchini. Toss with 1/2 teaspoon kosher salt, 1 tablespoon lemon juice, and 1 teaspoon olive oil. Let the zucchini sit for 15 minutes, until it slackens. 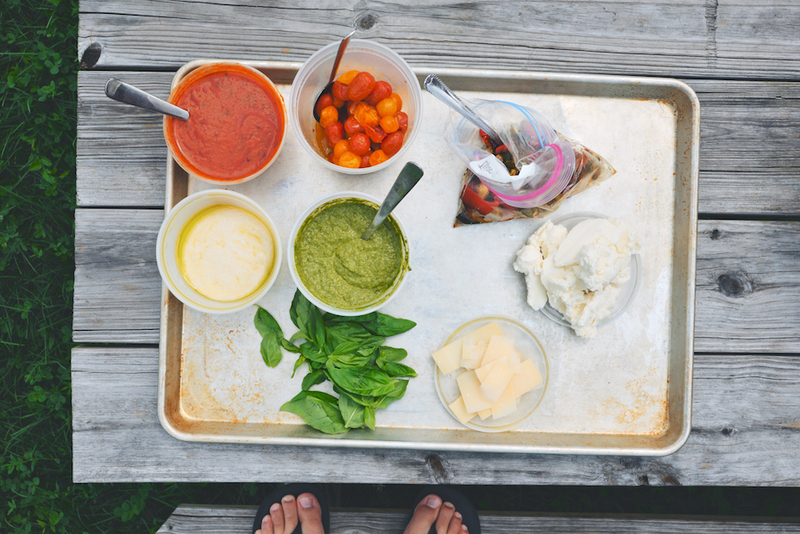 Here are some topping combos I’ve tried in past: pizza for 8 at the beach, springtime pizza, spring pizza x 2. Heat the grill to about 425F/218C. When it’s nice and hot, you’re ready to start. 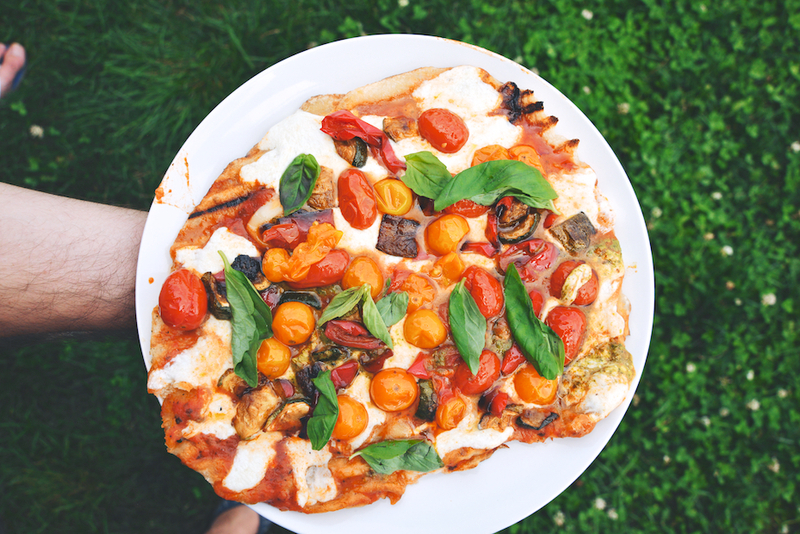 Quickly walk your fingers across the dough lengthwise, until you’ve scooped up half the pizza. As fast as you can, spread the dough across the grill, speedily making sure the dough is as stretched as possible, not bunched up in spots. Grill the dough on that side for about 5 minutes, or until the underside has grill marks and makes a hollow sound when you tap your finger against it, but is still a bit spongy. Flip the dough. 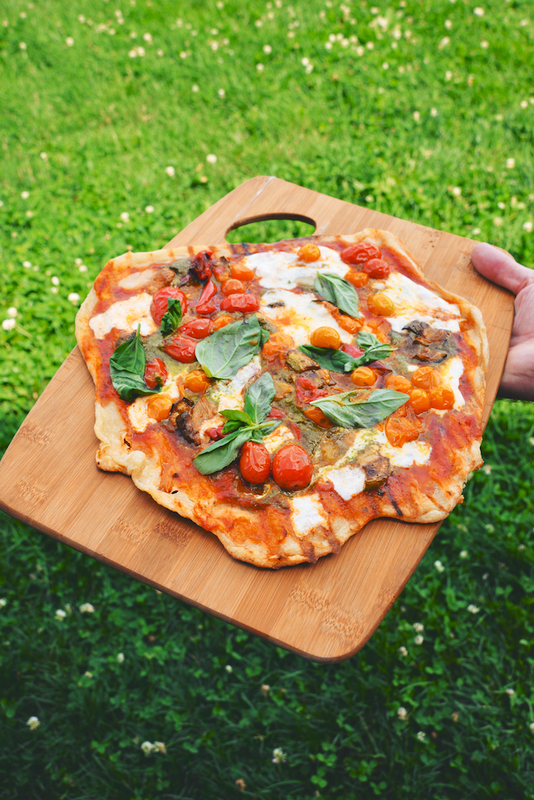 Now build the pizza of your dreams. 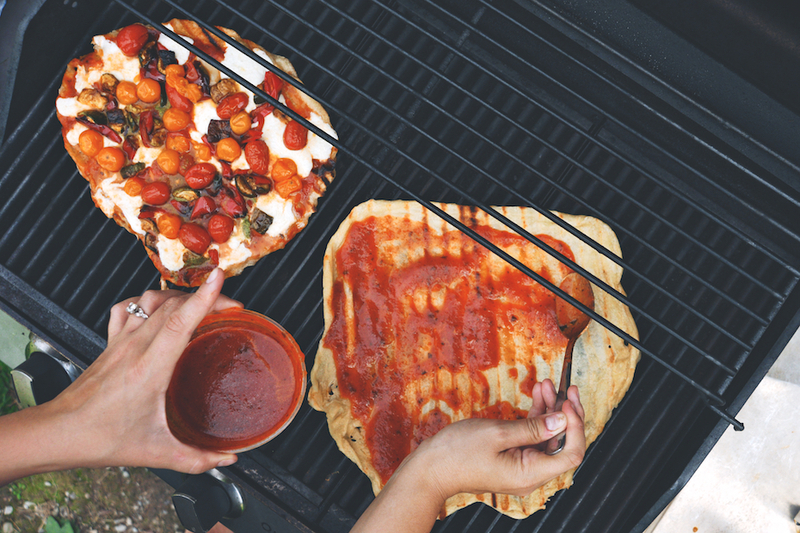 Close the grill, and allow the pizza to cook another 5-6 minutes, or until the cheese has melted. 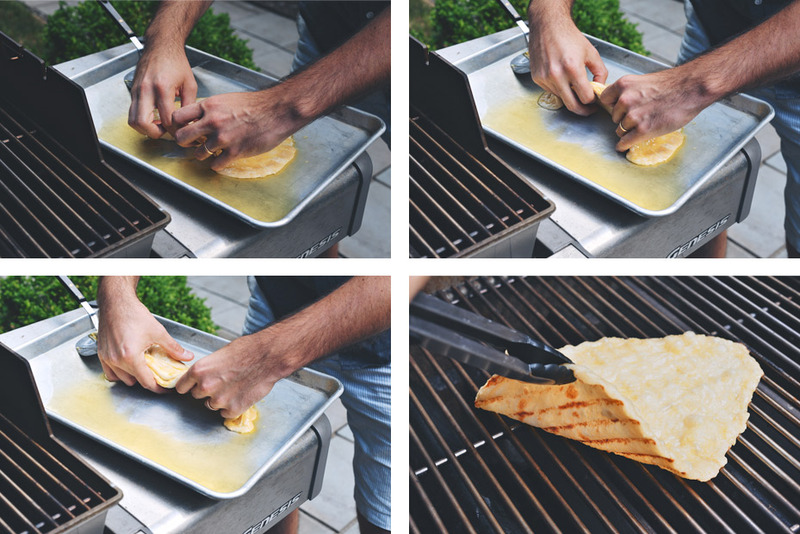 When the pizza has finished cooking, pull it onto a cutting board using tongs. Slice it right away, and enjoy hot. These pizzas are calling my name. If only I had a grill in front of me right now!